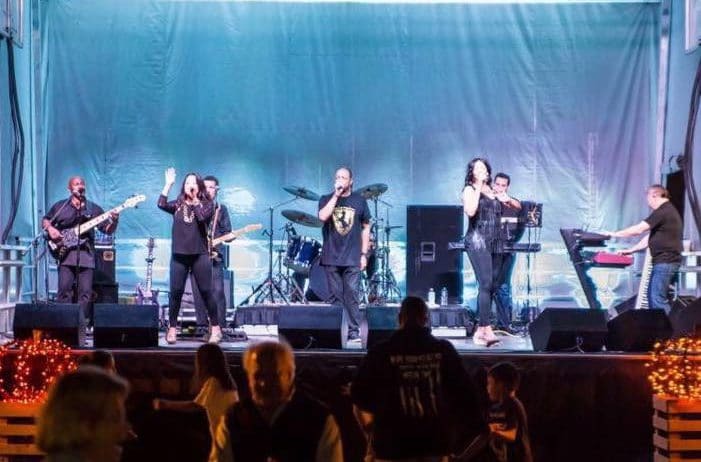 The Persuasion Band is a Dynamic Eight Piece Party, Dance and Show band providing top notch, live musical entertainment that’s perfect for corporate events, weddings, festivals, summer outdoor concerts and casinos! The band is fronted by extraordinary lead vocals with a rockin’ rhythm section! 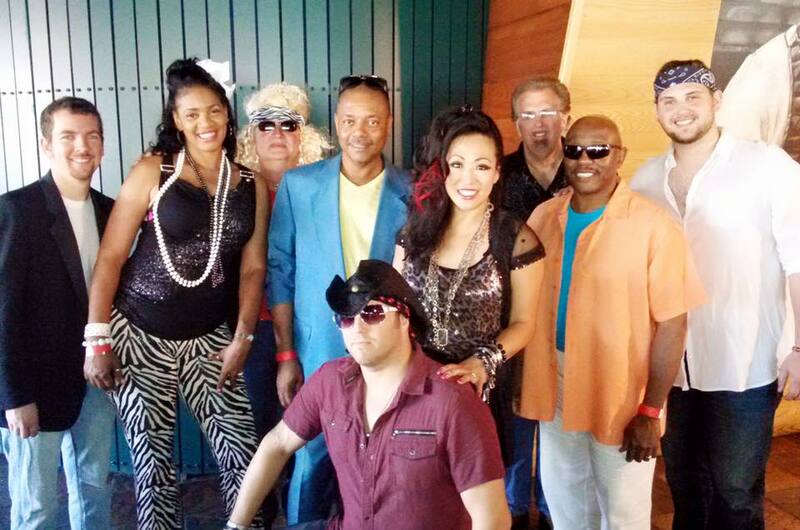 The Persuasion Band’s fast paced, high-energy performance caters to events with a diverse group of attendees. We will not only fill the dance floor, but also entertain those attendees who do not wish to dance with an exciting performance that many have compared to being at a national name artist’s concert! Having performed extensively in Michigan and throughout the Midwest, The Persuasion Band has become the band of choice for many booking professionals. The Annual Red Wings Toast of Hockeytown, Arts Beats and Eats, River Days Festival, Winterblast Festival, numerous amphitheaters across Michigan, as well as weddings, casinos and major festivals have all had The Persuasion Band as headlining entertainment! Amanda + Casey // Father of the Groom Performance from Bella Reel on Vimeo. Held at Horizons Conference Center! We cannot tell you how pleased we were with the Persuasion Band at our daughter’s wedding reception! They were first class and wowed everyone at the reception. They kept everyone dancing all night! The lighting looked beautiful. All in all, it made for an unforgettable night. We would definitely recommend your services. Thanks so much, Chris and Jim McGuinness|Marissa and Greg Otter – Doubletree Riverfront Hotel Over 300 guests! My wife and I got married in early December 2015 and Persuasion Band made the night one to remember! Music can make or break the party and they definitely made it. The band was very energetic and kept people of all ages on the dance floor all night! Our guests did not want the night to end. I have been getting complements daily on the band. I can’t say enough great things! In addition to being awesome performers, the band was easy to work with leading up to the wedding. They took care of all the set-up and breakdown without much need. They also flawlessly navigated through the announcements, cake cutting, dances, and speeches. Everything worked out perfectly! You would be doing yourself a disservice by not considering this band. Kristina and I would like to thank you and your band for a wonderful performance! You blew everyone away and exceeded our expectations. Thank you so much for all of your help on such short notice. We will always recommend you to whomever inquires. Dave is a good friend and a great guy I’m glad you were able to meet him. Thanks again for everything we appreciate it! How does a small town family (grooms side) and a big citygirl (brides family) get together and get along together for the firsttime at their wedding? The answer to this question is thru Music. We were lucky enough to have booked the band Persuasion to play (from recommendations ) at our daughters Wedding. Not only were they an amazing band but there vocals were spot on. They were able to get two complete families dancing together and having the time of their lives from the beginning of our event until the end. They were professional, looked amazing, and extremely talented. 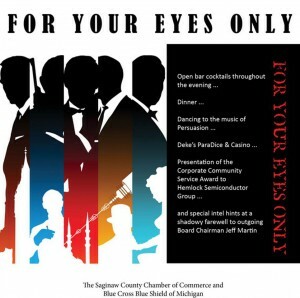 I would without hesitation recommend this band to any and all who want to have a fantastic time at their event. I didn’t get much chance to speak with you at the two weddings but I want you to know that your band’s music and showmanship made the wedding one of the best Clark weddings ever–and we have a lot of them. You really raised the roof. I don’t think I have ever seen a band work so hard and connect with the audience as well as you did. “At Last” was perfect, Etta James has got nothing on you. Thank you thank you! Charlie and I wanted to send you and your band a huge thanks – what an unreal night! Your band did an outstanding job! It was perfect and the crowd was so into it. Most of our guests were on the dance floor the entire night. The crowd involvement was just perfect as well as the song selections. Amazing energy from every member from your band especially the lead gals. We’ve received awesome feedback about you guys and know you’ll get a lot of referrals when the time comes for them. Thank you for helping to make that the best night of our lives – we had a riot with your band!! Such a blast – truly helped set the tone for the rest of the night! A night we’ll never forget and cherish forever – I hope your band had a fabulous time with us, and our family and friends at meadow brook! Thanks again!!! Kelli B. & Charlie B. Had the most amazing day!! Thank you SO much for making the trip to Toledo on Saturday and helping throw another great party!! We all had a blast- Persuasion is incredible! We wisely chose the group Persuasion to play for our Summer Concerts in the Park Series. Not only did everyone love them and want them back next year, but the group received a standing ovation at the end of their concert. Our concert audiences include a wide variety of people so that ovation shows the wide appeal Persuasion has. Their play list is part of that appeal; they play a wide range of music from Motown to current hits. Their great musicianship makes their sound big allowing them to play the greater variety of music well! They have great vocals and put on a great show!! We are scheduling them again for our 2014 Season. They were a great group to work with and we highly recommend them for any event. 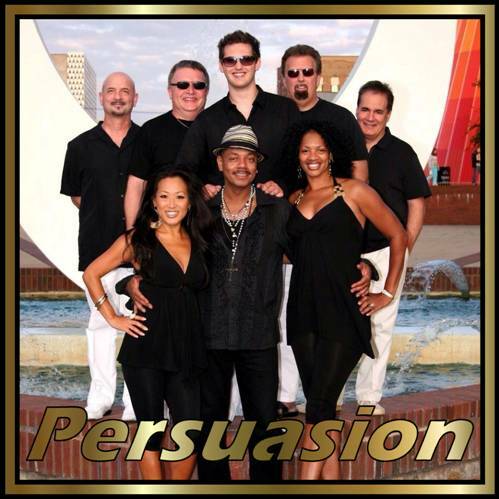 The Clio Amphitheater Board of Directors would like to recommend Persuasion if you are considering bringing one of the hottest bands in Michigan to your event. Their high energy, musicality, and amazing vocals will have your audience on their feet during the entire performance. Persuasion was the best wedding band I (or anyone else attending our wedding!) have ever seen. They play an amazing mix of oldies and Top 40, motown to rap, and dance songs to slow songs. They got the crowd dancing on the first song, and our dance floor was absolutely PACKED the entire time they played! I would recommend Persuasion to ANYONE that wants an amazing high energy band to bring excitement to their wedding! My husband had one priority for our wedding and it was the music. We knew we wanted a band and he took control of the search. I give him total credit for finding Persuasion with Lorio Ross. We knew our crowd would dance a lot, but Persuasion knew how to get the party started and kept people on the dance floor the whole night. While it was expensive it was well worth the money. For future brides, Lorio Ross is a busy organization and it sometimes took a while to get a response. But once our wedding month arrived they were responsive and crafted a timeline for our reception that worked great. I’ve already heard from some of our guests who want to hire Persuasion for their events in the future. The Best!!! I danced all night and so did my guests!! I would recommend them 100 times over! High energy, fun, and fantastic! We received a million compliments and EVERYONE had so much fun dancing. Persuasion 100% MADE our wedding reception. People could not get over how awesome they were. Our reception started at 4pm and people were dancing until 11pm – there was no stopping while Persuasion was on stage. They were wonderful at engaging the crowd and getting everyone, from our 5 year old cousin to our 80something year old grandparents, out on the floor. There was a technical difficulty, which was handled professionally, but it was a bummer to miss out on about 20 minutes worth of live music. They did a wonderful job of getting the evening started! The dance floor was packed from the first song until the very end of the night! I heard Persuasion perform last night at Cheli’s Chili, and I’m hoping you’d be willing to pass my email along to the band members. I couldn’t find another way of contacting them. Last night my dad and I saw the play “Ernie” in Detroit, and it was the perfect activity for the two of us: he is a sports fanatic, and I am a theater fanatic. He is a business man, and I am a professional pianist/vocal coach; I go to school in Florida, and he lives in metro-Detroit – so any common ground we can find is very special. With “Ernie,” we were lucky enough to combine the two. Afterward, being the amazing dad that he is, he insisted that we wait around for the fireworks at Comerica Park because he knows how much I love them. We happened upon Chili’s and noticed that a band was about to start. We thought we’d spend 10 minutes or so having a drink while waiting for the Tigers to finish. Though that quickly changed. From the second that we heard the first notes from the band, we knew it wasn’t just any random live band. I couldn’t BELIEVE it was live music because it sounded so polished and so good! Every single musician up there was solid. I was most impressed with the three singers’ ability to be full of energy and even to energize an almost lifeless crowd. It’s very difficult to give off that much energy when you’re not getting any back in return, and they didn’t seem phased by it. Eventually, their efforts paid off (and the crowd became more intoxicated), and people began to dance and sing and wave their arms. I’m so thrilled that my dad and I were able to end the night with Persuasion. What a fun, exciting, and talented group of individuals! Looking forward to the next time! Thanks to all the band members for contributing so much positivity to the city!